An unidentified aircraft is spotted approaching the White House so the Secret Service rush the President, his cabinet and visiting officials to the safety of the presidential bunker. The White House is under aerial and ground attack, and nobody - it would seem - can do a thing to stop it. Using his inside knowledge, a one-man fighting machine - in the wrong place at the wrong time - breaches the White House's increasingly compromised security to discover that the President has been taken hostage. I'm sorry. What did you say your name was again? Gerard Butler. I was the leading man in RocknRolla, Bounty Hunter and P.S. I Love You? Never heard of you. We were expecting Bruce Willis. Steven Seagal at the very least. Oh. That guy. I didn't recognise you in colour. You're the shepherd from Greece, right? Scottish, sure. That's the little town in England, right? I'm not from England. I'm from Scotland. We have castles and haggis. Guys that wear skirts. Our capital was built on seven hills. Like Rome, but less pasta. Oh, that Scotland! Got'ya. Sorry about the misunderstanding soldier. It's good to hear from you. If you get back in one piece, we'll throw another shrimp on the barbie. You'd like that, wouldn't you sir? The OFFICIAL hears a slapping sound on the other end of the speaker. MIKE BANNING, after killing maybe 300 North Koreans without even breaking a sweat, discovers the president and frees him from his captors. Say, aren't you the guy in Movie 43? 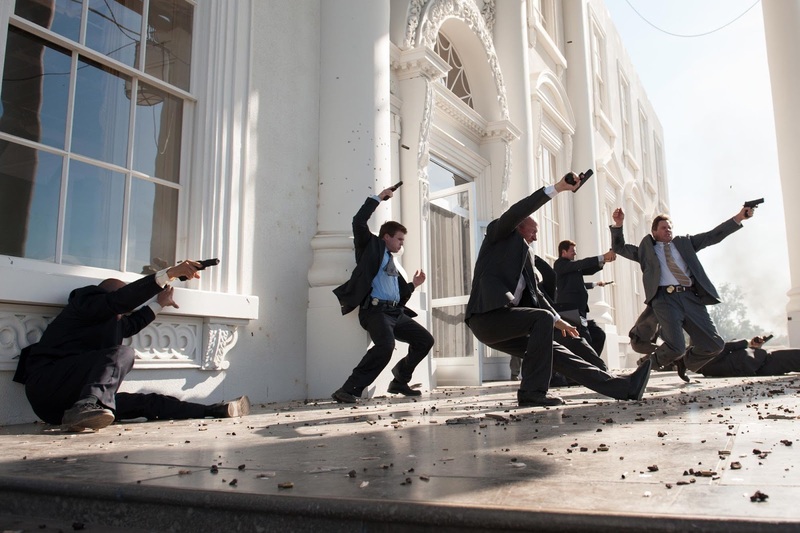 MIKE BANNING shoots the President. Then himself. Probably. 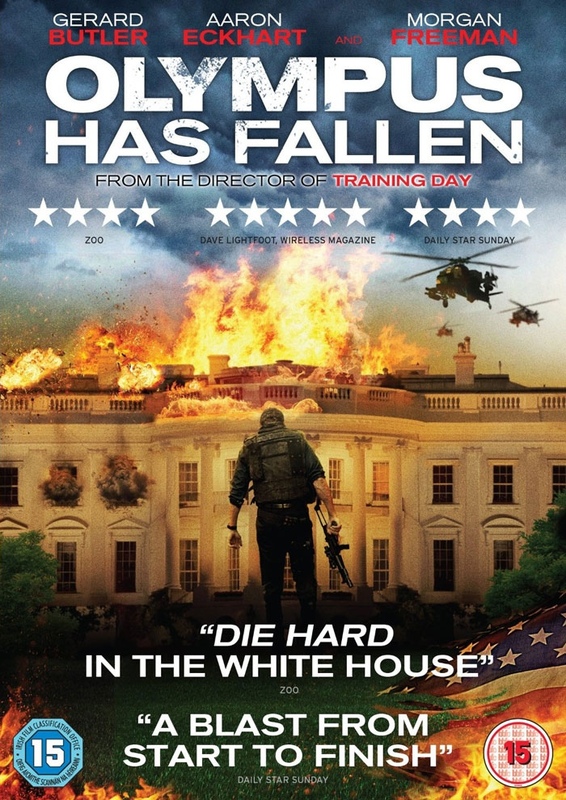 Olympus has Fallen, from the director of Training Day, is the best Die Hard film never made. Quite why we had to sit through A Good Day to Die Hard when we could have had John McClane saving the President is beyond me. 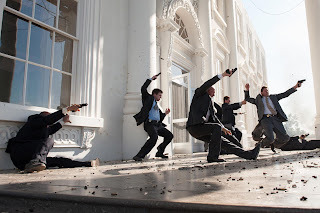 The effects look rushed, it has to be said, but the action is relentless, bloody and loud. Gerard Butler really should stick to making action movies because it's clearly what he does best. Nice review. Granted, it is entertaining to watch, but there's stuff like fake-looking CGI and shaky cam in some parts that get in the way. Still, it can be a very, very fun ride.